Teaming up with Studio Bella and Spa! 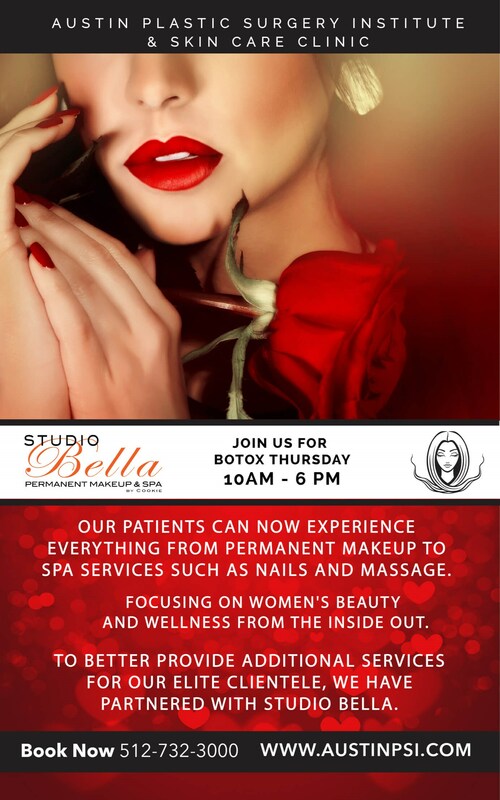 To better provide additional services for our elite clientele, we have partnered with Studio Bella. Our patients can now experience everything from permanent makeup to spa services such as nails and massage.